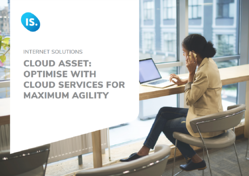 Cloud service providers claim that adopting cloud services for business will boost competitiveness and optimise outcomes by improving “agility”. This buzzword is taking the world of business by storm with enterprises of all sizes seeking to become more agile. But what does this actually mean and how can cloud services help? In this guide, we look at six benefits of the cloud that bolster the ability of organisations to be agile. We also take a look at some cloud services that can assist. The six benefits of the cloud that bolster the ability of organisations to be agile.